Atari daisy-chain cable bus, connects floppy drives, cassette drive, and Atari 850 I/O interface, which includes serial and parallel ports. 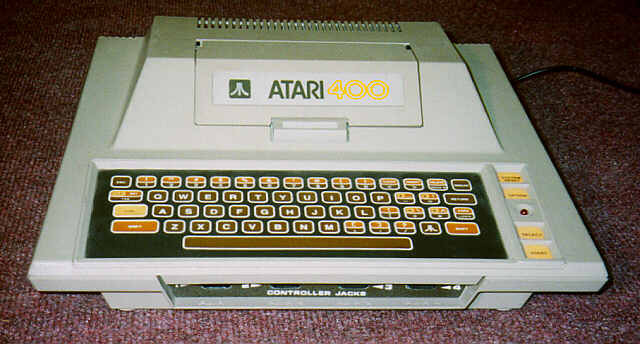 The Atari 400 and 800 were launched simultaneously, although the 800 was not available in the retail channel for a few months. The membrane keyboard prohibited touch typing and limited the 400's applications to primarily games.